Our Managed IT Services are an all in one support solution. Guarantee your business stays up and running no matter what the failures are. Having managed IT services is like having your own IT department, customised to your organisation size and needs. 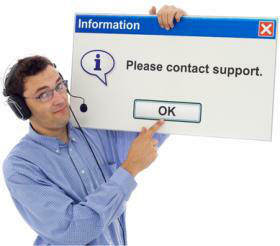 Quick resolution of network and workstation issues with Remote IT Support. Peace of mind thanks to our data backup service. Detailed reporting on all actions taken, downtime and solutions. Feel confidence in your IT solution with real time monitoring of your network, internet connection and backup system. Prevent downtime and ensure network security with proactive protection from all incoming threats such as Spam, Viruses, Trojan Horses and Worms. Reduce IT costs significantly with a proactive approach that identifies and resolves issues as they arise. Backups are useless if they don't work. Daily checks and monthly restores mean yours will, every time. Problems solved faster means your people are can return to full productivity in less time. The best problem is the one that never existed. We monitor your IT in real-time and fix problems before they impact your people. Businesses with 35 staff typically lose 70 hours per employee, every year. This means that your business is losing approximately 2,450 hours in a given year. In real terms, 2,450 hours translates to approximately 1.41 full time employees! Get in touch and we'll organise a time for a quick chat about your business' IT services needs.